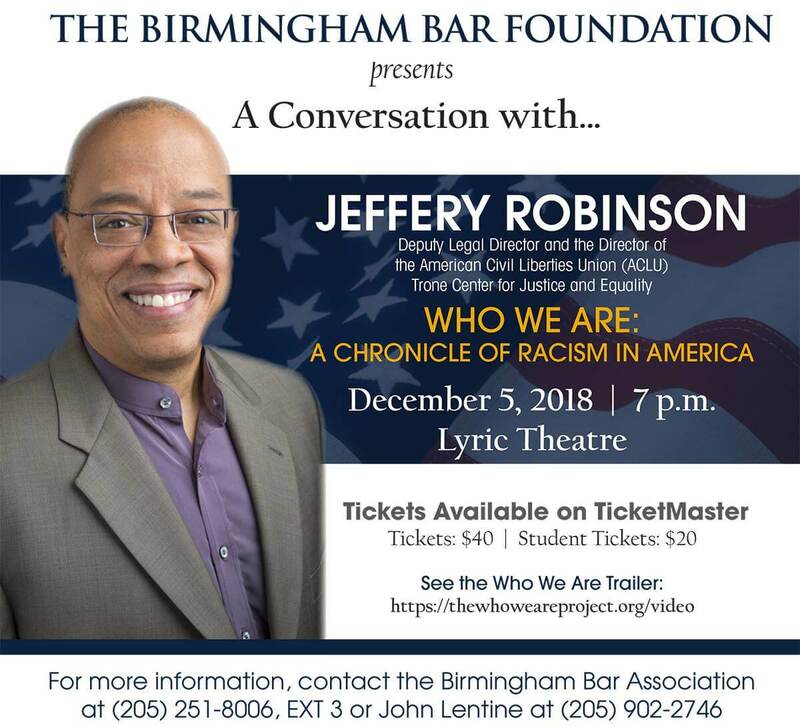 Please join the Birmingham Bar Foundation on December 5 at 7:00 pm for A Conversation with Jeffery Robinson. Jeff is the Deputy Legal Director of the ACLU’s Trone Center for Justice and he will be presenting his project, “Who We Are…A Chronicle of Racism in America.” Sponsorship information is available by calling Jennifer Buettner at 205-251-8006, ext. 3 or John Lentine at 205-902-2746. Tickets available at TicketMaster. Doors open at 6:00, show begins at 7:00. Seating is general admission, first come, first served.